Megaquarium is ranked in the 70th percentile of games scored on OpenCritic. Megaquarium is a competent tycoon game, but it feels a little too unrewarding. I certainly will keep on playing. A game like this that has over 95 different species that need to be curated, hundreds of objects to research and decorations to be… decorated? There is still so much to be done! I'm ready to dive right back in. A charmingly well executed management game that emphasizes good use of space, supply and demand, and visitors. Besides, fish are cute. What’s not to love? Megaquarium is an fantastic tycoon title with a surprising amount of depth. With far more fish, crabs, sponges, and spiny blowfish than I could have expected, it goes further than the usual “set it and forget it” model that most tycoon titles use. 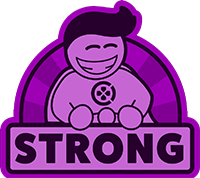 The team continues to hammer away at improvements, so here's hoping that they can iron out the last few UI and tasking issues to make this one truly great. Megaquarium is a fun and enthralling tycoon game. I found there to be a deep amount of depth to each tanks ecosystem and the requirements to bring in more guests. As I mentioned earlier, any other game would have probably just had the player pick a tank of fish and mainly focus on your patron's happiness. But Megaqquarium brings the micromanagement of an actual fish tank to your computer screen. As the team continues to make improvements, leading to an overall better experience, they’re creating more fun along the way. Fun that doesn’t require you to murder a million fish, but to take care and nurture them. Megaquarium is a casual management game that challenges a player as they progress. In fact, it is a game that is suitable for all ages and is great to play after a stressful work day. It's relaxing, not taxing on computer systems, and amusing to play. I've dumped a good amount of time playing Megaquarium so, if casual management games are your jam, I highly recommend picking up this game! As a tycoon game, Megaquarium strikes a very nice balance between having too much complexity vs. not having enough depth to remain entertaining. While micromanagement is not required, you do still have a lot of decision making to do. Fortunately, no in-depth knowledge of fish is required. Megaquarium is everything you expect from a building sim the added bonus of camera movement that enhances your entire experience. Megaquarium is far from perfect. Yet it's still one of the best sims out there right now. The freedom of the sandbox mode - opposed to its restrictive campaign - and the fluid gameplay keep the game fresh for hours. Although the AI and UI can be disruptive at times. Megaquarium is a very unique take on management games, by mixing both difficulty and enjoyment together it creates a system in which you can make any type of aquarium you want and with this classic upbeat music and cute looking visuals you will not get bored and with the amount of content and things you can build you will spend hours upon hours testing your limitations, totally a game that can reel you in. 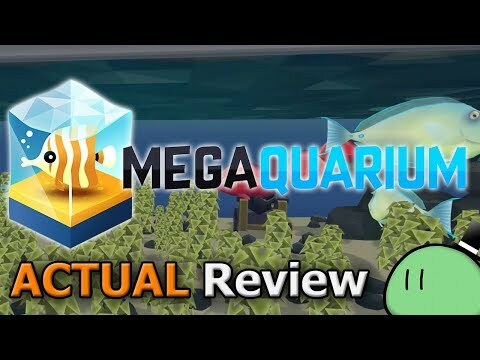 Despite a few oversights, Megaquarium is a fine game and easy recommendation for fans of management sims, or someone who wants to make their unique aquariums. While it lacks financial management the challenges presented with managing fish, the layout of your aquarium, staff, and prestige all more than make up for it. Aligning each of these variables so that everything continues to run smoothly is just as enthralling as it is in other similar simulation games. The exhaustive menus, lack of contextual information, and missing all-in-one fish display are annoyances but don't negate all the things Megaquarium does well. Although it feels like it has released a little too early and you’re buying a work in progress at the moment, Megaquarium is still a lot of fun. Maybe a month from now it’ll be even better as the constant updates are being published to fix issues and follow up on feedback. Altogether, Twice Circled has crafted a decent tycoon game that is fun and relaxing, if not a little unimaginative. While Megaquarium is fun and challenging at times, it tends to become a little repetitive after a while. A few more different challenges would help, while at other points it would have been nice to see an overview panel to make it easier to organise things. The gameplay can easily get messy, which is a shame considering the idea and the colourful setup. Nevertheless, the game is enjoyable and relaxing, and a player may well find themselves playing for hours.